Nick brings almost a decade of market research, project management and marketing analytics expertise to DKP, having worked in both Pharmaceutical and Healthcare industries. His breadth of experience came with roles at the Roudebush VA Medical Center, Regenstrief Institute, IU Health, Inventiv Health and Eli Lilly. 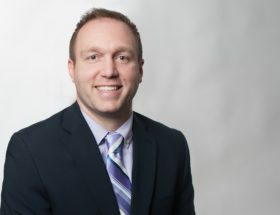 In his current role, Nick is responsible for managing DKP Market Research initiatives conducted with payers, providers, and other key stakeholders that impact or are impacted by healthcare delivery. Nick works closely with strategic consulting team members and clients to ensure project objectives are met by using proper market research strategies. He oversees content and data analysis output of market research engagements to support the development of important, actionable perspectives for clients. Nick is also responsible for ensuring the development and maintenance of DKP’s advisor pool. Outside of work, Nick enjoys spending time with his family and friends. His favorite hobbies include coaching and playing soccer, photography, and planning trips and activities for his family. Nick holds a Bachelors of Arts degree in Marketing and a Masters of Business Administration from Anderson University.